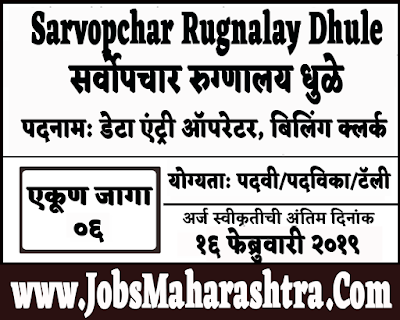 Sarvopchar Rugnalay Dhule inviting application for Data Entry Operator & Clerk Post. For more details like age limit, salary, how to apply, selection process please refer to the below article. 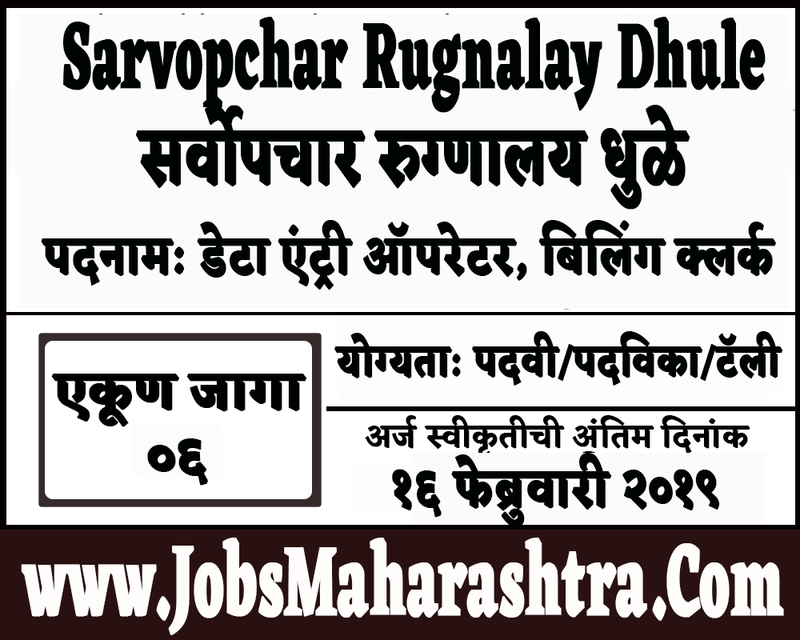 Interested candidates can apply through by post/by hand on the below given departmental address. The application form is attached to the departmental advertising PDF given in the important web link section. Only shortlisted candidates will be called for the interview or exam.